Building a new construction roof or performing a roofing tear off not only protects your home and possessions from leaks but adds significant value to your home. Reroofing a house is a complicated process that has a slew of factors that can change the required installation techniques. The best way to replace your roof is to call a roofing company in Webster NY. Roofing is a very dangerous job to perform and requires the skill of a factory trained and certified roofer like the pros at RFS to comply with shingle manufacturer lifetime warranty standards. First get in touch with a reputable roofing contractor like Ron Ferris and Son for a free no obligation roofing estimate. Check out our independent customer reviews and see why we are one of Rochester NY premier roofing service providers. Our owner will work with you directly to compare and contrast the roofing options that will best suit your individual needs and budget. There is never any pressure and you decide if and when you want to move forward with us. We work around your schedule and set an installation date that causes the least amount of disturbance to your household. No money is ever due until satisfied completion of your roofing in Penfield NY and our roofing company carries full workman’s comp and liability insurance so our clients and their homes are always protected. Once installation day arrives you can relax and enjoy your roof replacement in Fairport NY. Our installers and ground crew will arrive in uniform, ready to work and answer any questions you might have. We will begin by protecting any siding,windows and landscaping around your home before we perform any roofing tear off. Most roofing debris will generally be thrown directly into dumpsters that are removed daily for your convenience. Once we have removed and disposed of all of the old layers of asphalt roofing shingles on your home we can inspect your roof decking, roofing ventilation and roof flashing to ensure they comply with housing and warranty standards. Once this is completed we can install a waterproofing ice and water shield underlayment 6′ high on all roof edges and valleys. Any remaining roof decking will be covered in a synthetic scrim reinforced felt. Aluminum drip edge metal is then applied to all roof edges and covered with a starter shingle to promote better sealing and wind resistance. A class leading designer or luxury shingle of your choice can then be applied with six nails per shingle for maximum wind resistance. To ensure the longest life possible for your new roof we will install a continuous ridgevent on all roof peaks for proper roofing ventilation and cap it with a color coordinating hip shingle to complement your new shingle roof in Brighton NY. A stringent job site checklist is performed as a part of every lifetime warrantied roof we install to ensure the highest quality materials and installation procedures have been used. This guarantees our clients the best roofing installation standards. We have been roofing contractors in Monroe County for over 35 years and the value of our roofing experience can make the difference between a leaking roof and one that stays dry for decades. If you are thinking about a roof replacement or researching a roofing tear off in Monroe County you have probably heard the term roof flashing. Perhaps you saw it on your roofing contractor’s proposal or online while familiarizing yourself with roofing terms. Reguardless, roof flashing is a vital component of any quality roofing system. Without quality flashing that is properly installed water can penetrate even a new roof in Rochester NY, compromising its integrity and causing costly interior damage. When preparing to have a new roof installed it is important to inform yourself on roof flashing and the role it plays in the proper performance of any quality roof. Flashing by definition is used as a solution to obstructions and breaks in continuous surfaces on a roof. Chimneys, bathroom pipes, skylights and dormers are all examples that require some form of roof flashing. These interruptions break the important seal required to keep a roof from letting water into your home. Flashings (molded metal strips) are used to direct water away from the surfaces of your home. Rather than seeping into the gaps created by roofing obstructions water hit the flashing and runs off onto the roofing shingles thus protecting your home. Not all flashing material is the same. Some such as copper create the most durable and effective flashing for your home but carry the highest cost. Other flashings like aluminum and stainless steel can reduce costs and still provide great long term protection. 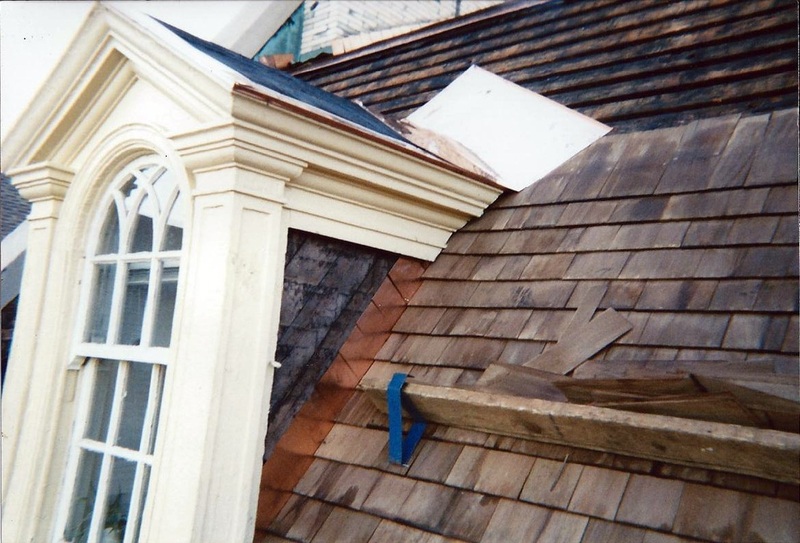 Roof flashing plays a vital role in your roof’s integrity. Quality materials coupled with the best roofing installation standards Rochester NY has to offer can provide long lasting protection. Years of frustration and damage can be avoided by calling the pros today at RFS to handle your next roof replacement. Call us TODAY and our owner will work directly with you to form a plan that works best for you and your budget! Put our Webster NY roofing company to work for you today. The value of our experience can make the difference between a leaking roof and one that stays dry. 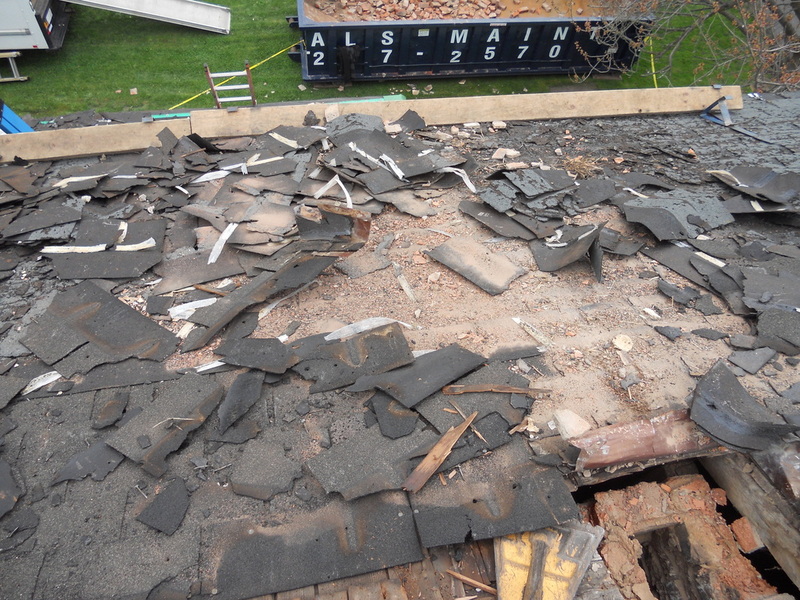 Whether or not to go for a roof tear off in Webster NY is a tough decision, but many signs will begin to show if a roof replacement is necessary. The normal life span of an older asphalt roofing shingle is 15-20 years. This is assuming there is adequate roofing ventilation. After this period most roofs begin to show signs of excessive wear, roof flashings may become exposed or worse yet roof leaks can occur. Sometimes a simple roof repair can be performed but your best bet is a complete removal of the old roofing system and installation of a new lifetime roofing system by Ron Ferris and Son. Are your interior walls or ceilings starting to show signs of water damage? Water stains on ceilings and walls are a clear sign you are in need of roofing services in Rochester NY. In areas of extreme weather, extended periods of snow and rain can push an older roof past its limit causing structural and interior damage to your home or business. 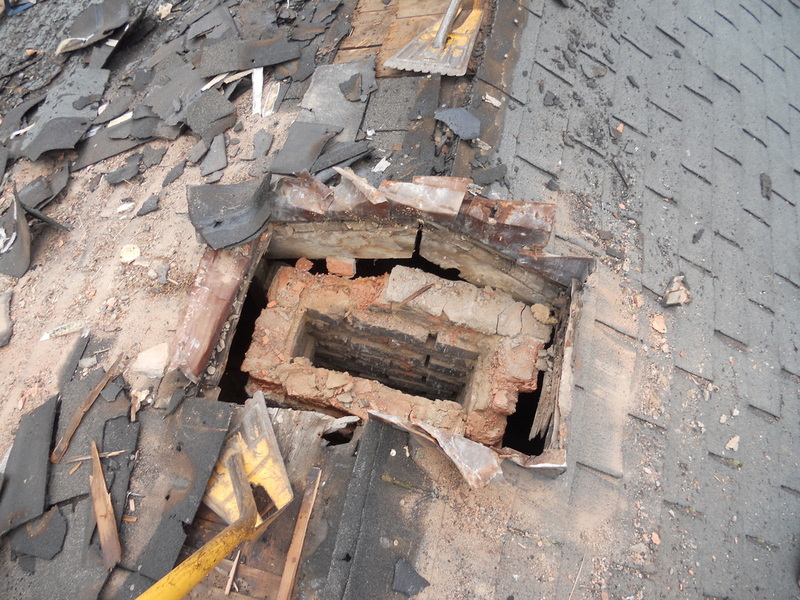 A situation like this is often beyond a roof repair and will require a complete roofing tear off. There are also external factors that can effect the life span of your current roofing Penfield NY. These might include faulty design, improper building materials or improper installation. These will almost always lead to a shortened life span of a new roof.In most of these cases it is necessary to replace the entire roof and roof decking if its structural integrity has been compromised. Once you have come to a decision that you need to call a roofing company in Monroe County it is best to act fast and avoid any further damage to your home or business. An experienced roofing contractor will usually visit you and provide a free written roofing estimate. Always make sure you choose a roofer who is fully insured for roofing and who has established for many years. Many roofing companies do not last long and what good is your new lifetime roofing warranty when your roofer is out of business! The pros at Ron Ferris and Son have been serving Monroe and Wayne county for over 30 years! We are family owned and operated and employ our own staff of select shingle master installers. Our lifetime roofing warranty is one of the best in the industry. Check out our customer testimonials and reviews and see why we are one of Rochester’s top roofing service providers.